The Defiance and Destruction of Hitler's Germany, 1944-45, Ian Kershaw, Penguin Press. If Ian Kershaw’s two-volume biography of Adolf Hitler (“Hitler”) is the definitive biography of the Führer, then “The End” is the definitive history of the disintegration of the Nazi regime. Beginning with the aftermath of the failed attempt on Hitler’s life in July 1944 and continuing chronologically thru the last months of the Second World War, Kershaw examines how and why the Third Reich managed to continue the fight many months after the outcome was no longer in doubt. “The rulers of Germany in 1945, knowing the war was lost and complete destruction beckoned, were nevertheless prepared to fight on until their country was practically obliterated,” writes Kershaw in the book’s introduction, pointing out that waging war until the enemy completely occupies one’s homeland is extremely unusual. The reasons why this happened are many, notes the author. Terroristic repression, which “boomeranged back from the treatment of conquered peoples to be directed at the German people themselves,” he says, was a major factor. Kershaw also addresses why Hitler’s subordinates were either unwilling, or unable, to challenge Hitler’s power. “More important, for arch-Nazis, was the feeling that they had no future without Hitler … which provided a powerful negative bond,” he continues. In the book’s conclusion, Kershaw reviews all the factors that could conceivably explain why Germany held on until Hitler committed suicide in late April 1945. The author assigns relatively little weight to Allied mistakes in strategy and tactics, as well as the Allies’ demand for an unconditional surrender. The fear of Bolshevik occupation and lingering popular support for Hitler are among the issues that seem to warrant more serious consideration. In the final analysis, though, Kershaw leaves little doubt that he regards the structure of the Nazi regime and the underlying mentality behind it as the overriding reasons for the extended fight. “The dominant elites … possessed neither the collective will nor the mechanisms of power to prevent Hitler taking Germany to total destruction,” he concludes. All in all, “The End” is a unique and compelling book, one that Kershaw devotees will no doubt enjoy immensely. Mao’s Great Famine—The history of China’s most devastating catastrophe, Frank Dikötter, Walker Books. Homework for Grown-ups—Homework for Grown-ups: Everything You Learned at School and Promptly Forgot. 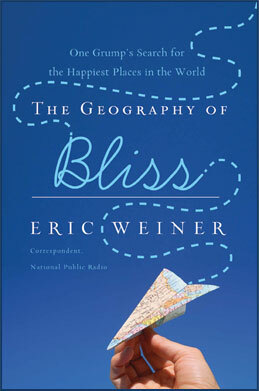 Paradise Lost—The Geography of Bliss: One Grump’s Search for the Happiest Places in the World, Eric Weiner, Twelve.